Plumbing jobs are in high demand in the Middle East particularly in Saudi Arabia. I went to the POEA website today and found out that there quite a lot of approved job orders for plumbers for Saudi Arabia and other Middle Eastern countries such as Kuwait, Qatar and UAE. 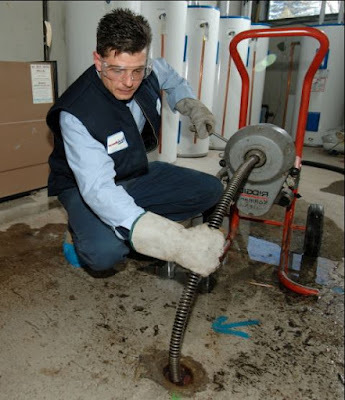 A Plumber busy with one of those plumbing jobs. You can view the approved job orders for plumbers in June, here. Or you can check them out yourself at the POEA website. And that is not counting those job orders tagged as "Open". There are other countries that need plumbers as well but the bulk of the approved job orders are for deployment in the Middle East. The recent discussion between labor officials of the Philippines and the Kingdom of Saudi Arabia about refroms in the Saudi labor system augurs well for those Filipino plumbers hoping to use their skill there and earn enough for their families here. The expansion of e-government facilities, an associated wage protection system, and better enforcement of existing regulations, including the establishment of 24/7 hotlines to receive workers’ complaints in various languages, including Tagalog. Plumbing is skill that Filipinos are good at. Here's hoping that these plumbing jobs in the Middle East will help many Filipino plumbers showcase their competence in this trade skill and help their families in the process.